Why is there no Christian university in Moldova today? Why we do not have a Christian University in Moldova? Why wouldn’t it exist a Christian university in Moldova, with faculties as medicine, foreign languages and economics, or at least foreign languages, so that only believers could learn here, paying decent contracts. You know, I lived in the capital at the dormitory and life was hard among unbelievers, in addition to this, I realized that I hate college, so I switched to non-attendance. Now I stay home for one year and I can not find something to work. If it were a Christian university … Many of my acquaintances are also studying by correspondence because it is difficult among the unbelievers. I am going through a depression because I have no support, I do not have any acquaintances and no friends, no one gives me any advice. What do you think about the University? I also want very much to have a Christian university in Moldova, even some more and I look forward to the day when there will be one. And I also dream that the best teachers would teach in this university, or universities, who would also be exemplary Christians, people who preach and live the message of the Gospel everyday and are examples and models for their students. I want that the deep study of the Holy Scriptures would be included in the study program of these universities, for all faculties and graduates, when they would go to their places of work, they would not only be the best specialists, but also good and powerful preachers of the message of the Gospel, so that all people would learn from them about the salvation that is in Christ. When someone would come to a doctor, a graduate of this faculty, she may be treated with the greatest love, the highest quality and receive spiritual healing, too. When someone would ask for the service of a lawyer, a graduate of this university, she may be effectively protected by the law, but she may also learn the perfect law, that is the law of liberty, the Word of God. Thus, by this university or universities a spiritual awakening would come to our country. There are several reasons. I think that one is lack of experience in this regard, but also the legal framework that creates difficult conditions for those who wish to do this. There have been several attempts. Some have failed, but others go on well, and we need to pray for those who make effort in this regard. Several years ago, Pentecostal Union of the Republic of Moldova founded the Christian school “Elim” and this year, because many students have passed the secondary program in the school, they expanded and started high school classes. God help them continue and maybe when they get the high school classes to graduate, God will bless them to expand further and to found a Christian university. God bless the leaders of other Christian denominations with vision, resources and power to follow the same example and to build schools and Christian universities and we expect from the present leadership of the country to review the legislation and to enact laws that would facilitate and ease the process establishing Christian schools and universities. It remains to pray for it. As a pastor of the “Good News” Church, I dream that the church would grow in number and potential, so that the church members would found a Christian school, an university and they would be the most qualified teachers in these educational institutions. 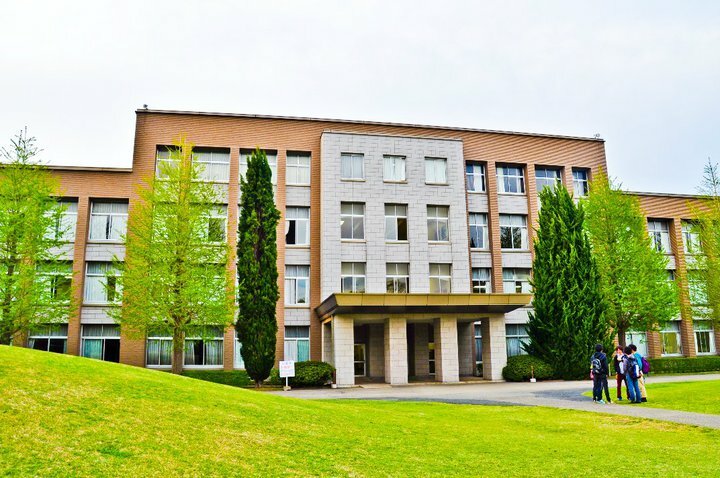 My nephews have graduated from high school this year and both my sister and my brother-in-law wanted them to live at the dormitory, but when they went and saw the accommodations there, they gave up and sought to hire an apartment for them. From what they told me, I could not believe that such is the life at dormitory now. However, we, Christians, are called to be lights in any place and to light before the people, living according to the Word of God and announcing the salvation that is in Christ. I do not want thus to say that it is necessary for all Christians to live in dorms, but I mean that if they do not have other possibility and they must live there, they should be lights there and tell everyone about Christ, be examples and form Bible study groups there. Depression is not compatible with the Christian life. We have the hope of glory within us and we must live according to this hope and tell everyone about it. Do not ignore the unbelieving people, do not stay away from them, but love them, going to preach the gospel. So the apostles did, so all Christians who loved God have done in all ages, and we must also do this. The calling of the Christian student is to make disciples of his un believing colleagues and his mission place is university or any other school where she studies. What does the reader think in this regard and how does she see a future Christian university in Moldova? What can be done to bring to reality the dream of us all?